Allaert Claesz (1498-1564) ,pintor holandés. 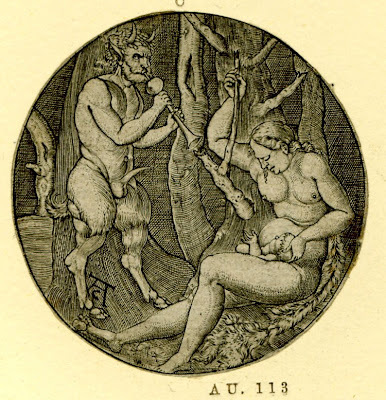 A satyr family in a wood.1520-30. 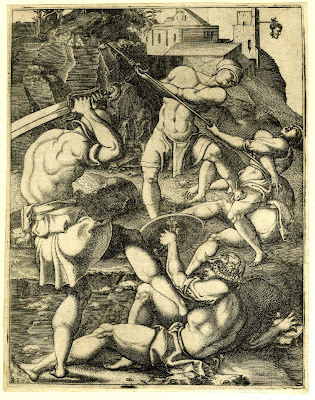 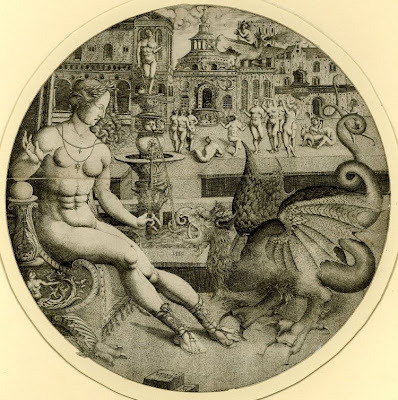 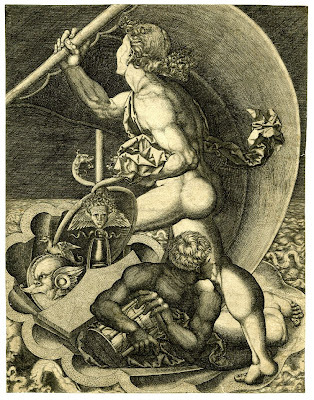 Allegory with two naked men in a shell boat.1520-30. 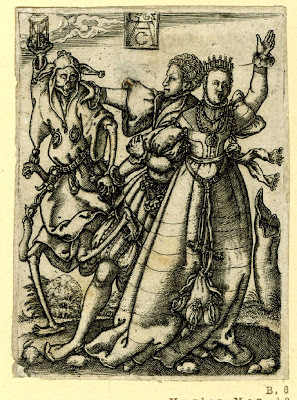 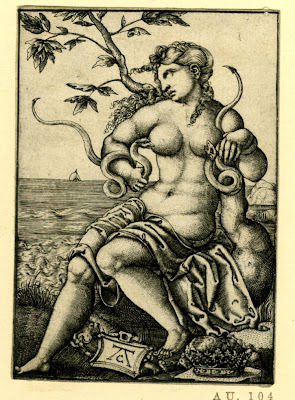 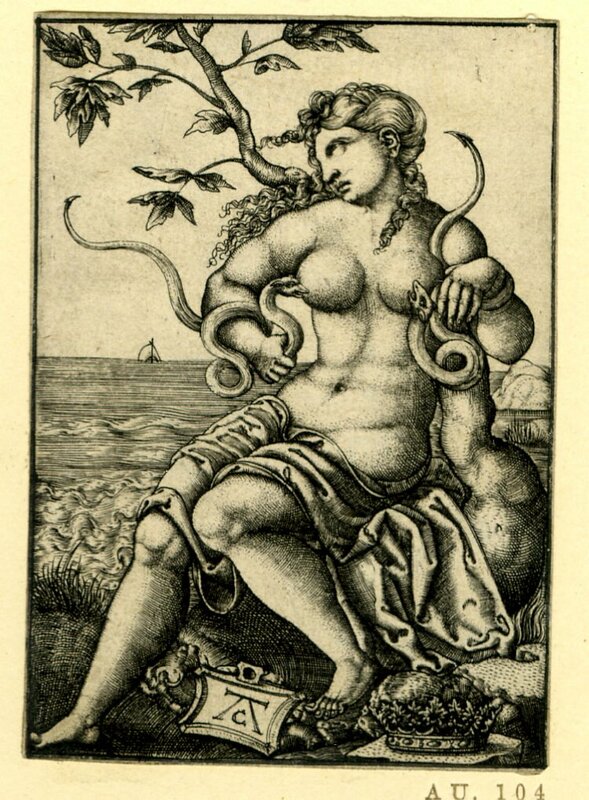 Cleopatra seated by a tree with two serpents.1520-30. 1.-A couple with Death playing a drum. 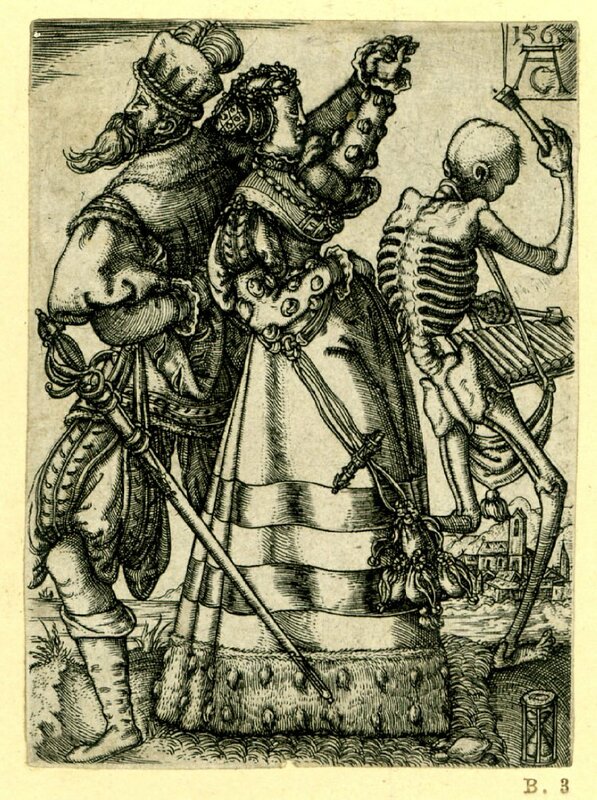 2.-A dancing couple with Death playing a xylophone. 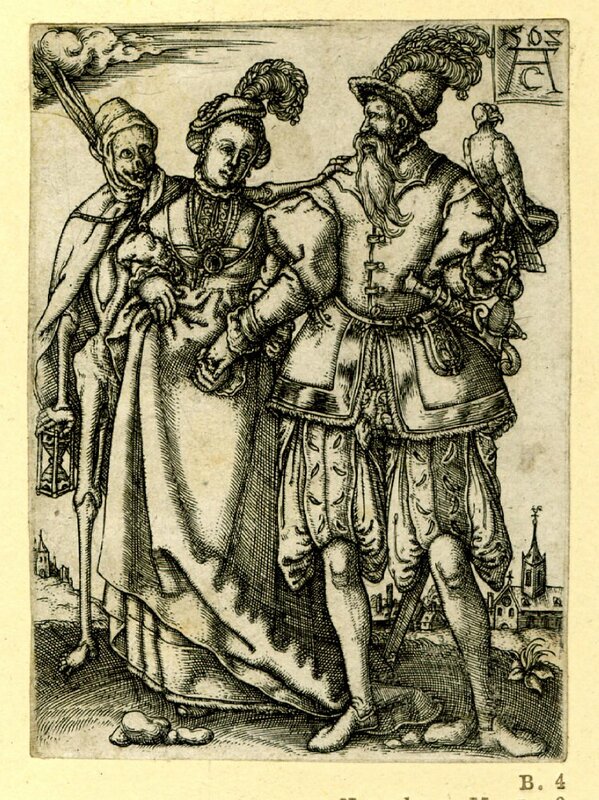 3.-A falconer, his wife and Death as a hunter. 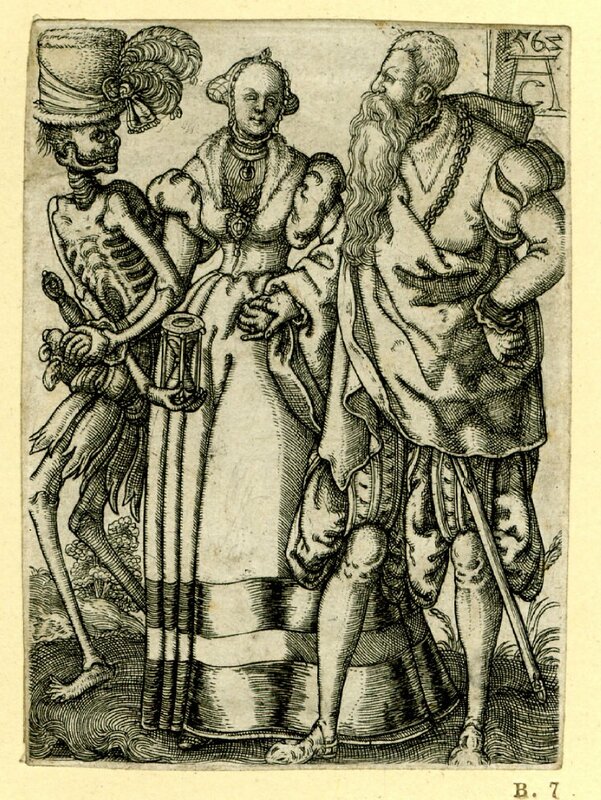 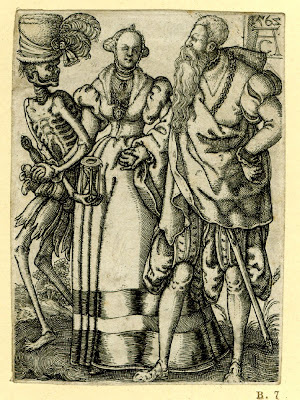 4.-Death as a nobleman leading away a woman. 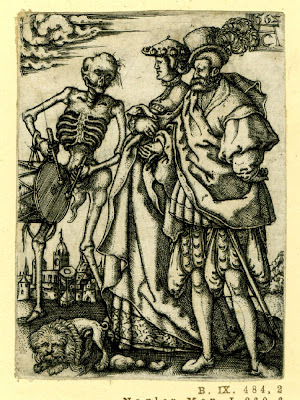 5.-Death dressed as a fool pursuing a couple. 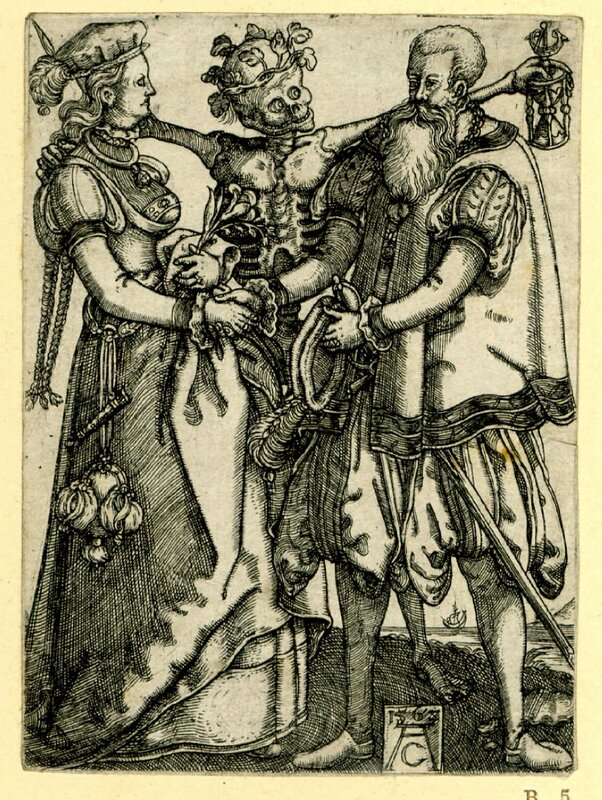 6.-The old man and his young wife embraced by Death. 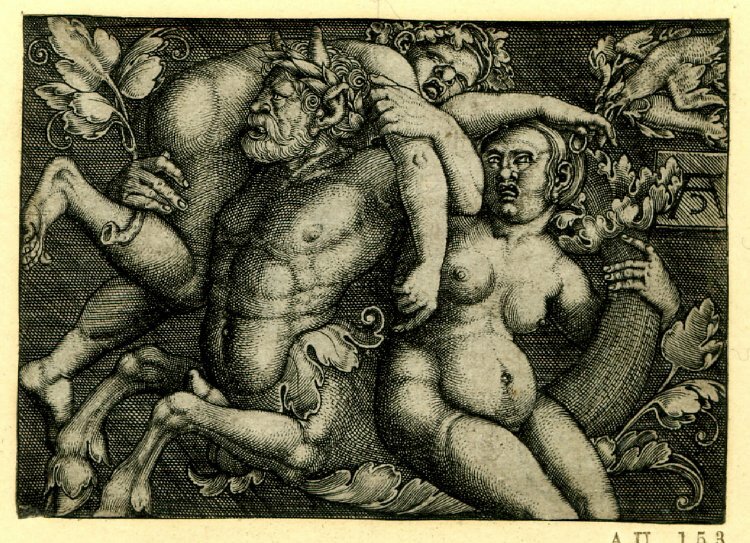 A Triton carrying off a male and female on a black background.